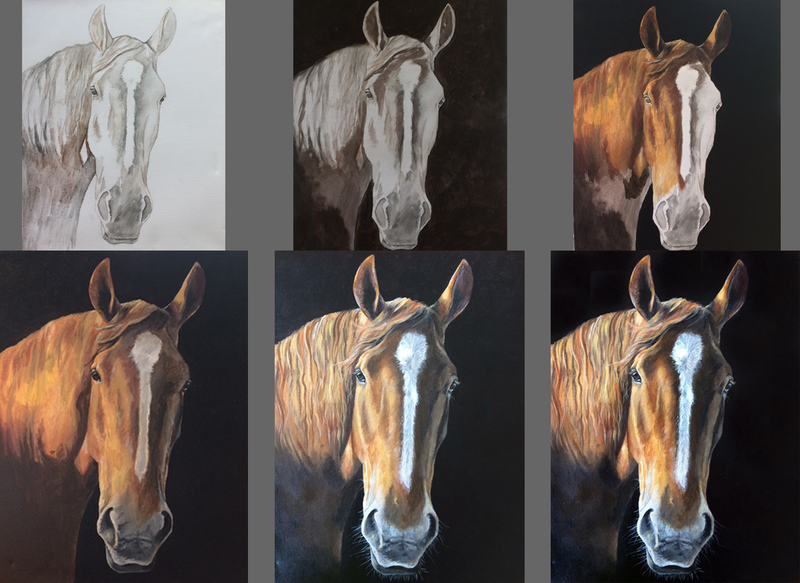 All Portraits are produced in pastel, preferably from photographs taken by myself as this helps me appreciate the character of the animal which comes across in the portrait, more details below. However i will accept supplied photos if they meet certain requirements as detailed below. I will travel and photograph your animal myself, though charges will depend on the distance I have to travel. Finished portraits are supplied professionally mounted in a neutral colour. Other bespoke options are available on request. If your commission is for somebody’s Birthday or Christmas present I always aim to produce them in time for these special dates. However please order well in advance if there is a deadline to work to! Feel free to contact me about your requirements. I always find it hard to cost, as every portrait is unique. Portraits are done on a professional Colourfix Card and are supplied mounted on a backing board, with an off white mount to the front. Paintings are done on 20x16 inch professional box canvasses. Prints of your portrait can also be done at a cost of £35 each +P&P. These are supplied mounted also. 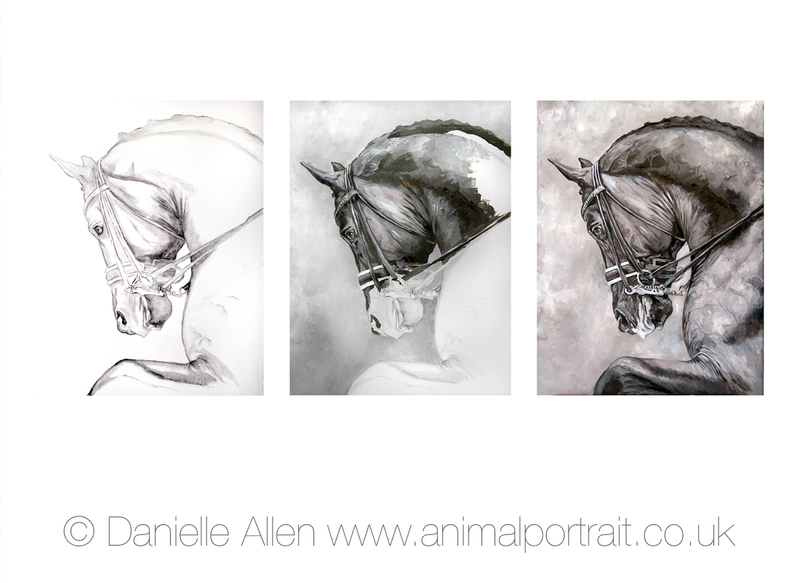 Prints will only be supplied to the person who commissions the portrait. No other prints of your portrait will be produced. Special commissions and group portraits of multiple animals will be priced on request. Natural light is always best rather than using a flash. This can easily be achieved by being outside or by a window. Also remember to face away from the sun to avoid making your pet squint. If you have to take your photo indoors, then choose a light room near the window. Try to avoid using the flash, as this will cause red eye in your photo and could bleach out the natural colours of your pet. Most important - the best position to take the photo is to be at the same level as the pet. Photos pointing down can look odd and unnatural. If necessary lie down to make sure you are at eye level. To be able to visit and take photos myself is the most favoured process, as I have professional equipment and I know what I am looking for. I am then able to take as many photos as is needed, so I can be assured that I have captured the details - for example especially important are the eyes. If you are sending your own photos through, the quality of the portrait and its detail will be dependent on the quaility of your pictures.